How Has Dividend Investing Performed in 2018? One of the most significant strategies of dividend investing is weighing up the delicate balance of risk against reward. Because most investors are looking for long-term dividend growth, opting for a portfolio biased towards traditionally safe stocks, which have shown years of rising dividend payouts, is preferred. Over time, this has every chance of achieving dividend growth, while the bonus is holding a portfolio value that’s more protected from volatility. So far in 2018, anyone adopting the “play it safe” approach will have seen decent enough returns. While that’s ticked off their main goal, they’ll notice other investment opportunities may have outpaced them. Tracking the Dow, for example. The psychology to adopt is not to change approach and go chasing. Stick with a carefully-managed plan because, as Aesop wrote so eloquently, the tortoise will eventually catch up and then beat the hare. While many people think that buying shares is all about shooting for a price increase over time to make a profit, dividend investing is an ideal alternative for those seeking a passive income. Dividends are an investment approach of buying stocks that issue cash dividends (from company earnings) on a regular basis, often quarterly, giving the holder the opportunity to take the income or reinvest in the stock to increase their holding, and therefore the future dividend total as well. Investors can receive dividends by buying traditional stock, whereby they own a physical shareholding, or by contract for difference (CFD) trading, where they speculate about a stock’s performance over a given time. Those with a long CFD position are entitled to receive a dividend payment from the broker, just like those trading in the physical shares. The main motivation of dividend trading is to build that passive income so that, ideally, it can become part of your current or retirement financial planning. The economy in the US is on a big uptick right now, with GDP riding a decade-long high. As you’d expect, the stock market has been sticking out its chest proudly as a result. In mid-to-late September, the Dow Jones was up 8% since the first bell at the start of the year (see chart). Anyone benchmarking their stock investments to this index would have, therefore, made an excellent return. However, dividend investors will not necessarily be tracking the high performers of the Dow (such as Nike, Microsoft, Visa and Boeing), which by the middle of July had already increased more than 20% year to date. While those stock prices had soared (and risk being pegged back, of course), dividend investors were concentrating on the stocks that paid solid cash dividends. Remember, the overriding strategy is primarily regular passive income. Equity value increase is a secondary goal. While many dividend investors might be delighted about yields of up to 4% in some cases, you can see this falls short of the wider 2018 market. However, this should not be cause for concern. As well as having a regular income, by definition, they have invested in corporations with a more stable business. Why is that the case? To pay dividends, the company must first make a profit, and secondly, have enough cash to pay a dividend without affecting operations. Businesses that consistently pay dividends, often rising dividends at that, are the big hitters that most sensible dividend investors will add to their portfolio. While 3% or 4% yield on dividend investing is not keeping pace with the overall market now, it’s a long-term game, and you have to focus on the bigger picture. Remember that analogy of the tortoise and the hare. 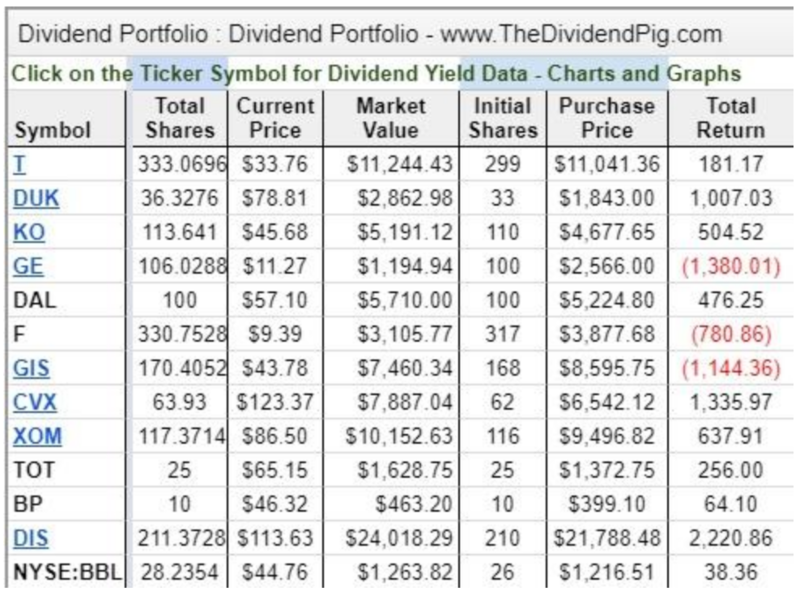 There’s a whole load of advice out there, all with pretty solid recommendations for dividend investors. 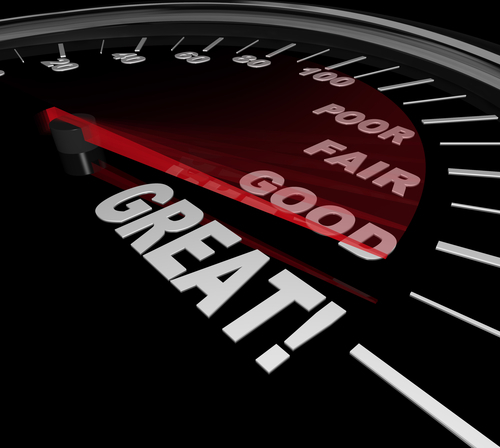 Here is a real-time dividend portfolio so you can see what’s in and out. You’ll see staples there that also crop up in most dividend investors’ portfolios, such as AT&T, Chevron and Procter & Gamble. If you’re looking to start or top up your portfolio, there’s a solid range here. Is the company a large corporation with a solid trading background? You don’t want to risk new business which will have unpredictable financial and trading patterns. You want established corporations, which is why you see old favorites in the top ten targets highlighted above. The company needs to be making money and have the cash to pay dividends. The current ratio measures a company’s ability to pay short-term and long-term obligations. Favoured current ratios vary between industries, but aim for 1.5 to 3% for a healthy business. Signifies how much of its earnings are channelled into dividends. Don’t be tempted by huge ratios – it may not be healthy for a business to payout too much of its earnings! Dividend-paying businesses like to keep shareholders happy by increasing the payout over time. Companies with a record of doing so, such as Verizon Communications, reflects the overall improving performance of the business. Dividend growth secures a better income growth as well as protecting the stock from market volatility. We’ve shown that while dividend investing in 2018 has been profitable, the returns have been outpaced by indices such as the Dow Jones. However, dividend yields are still good, and investors are safe in the knowledge they are building their passive income, rather than chasing a quick buck in the crypto game.